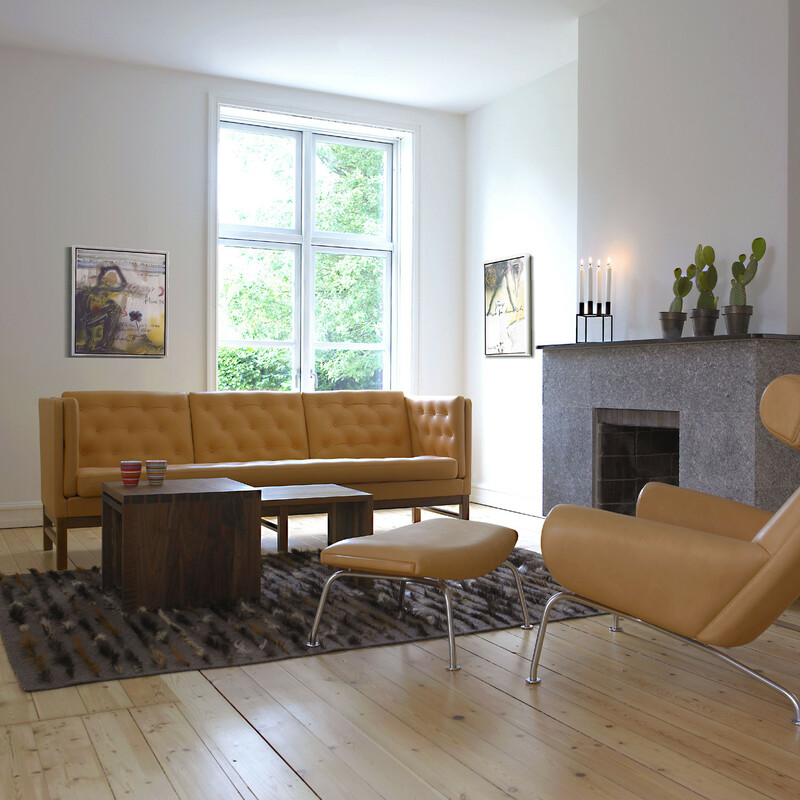 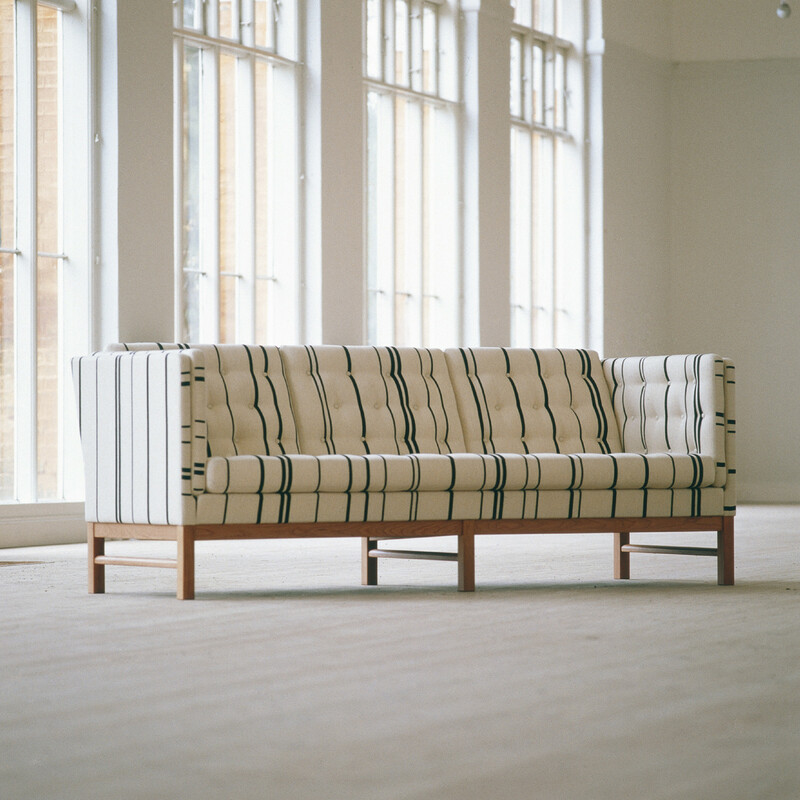 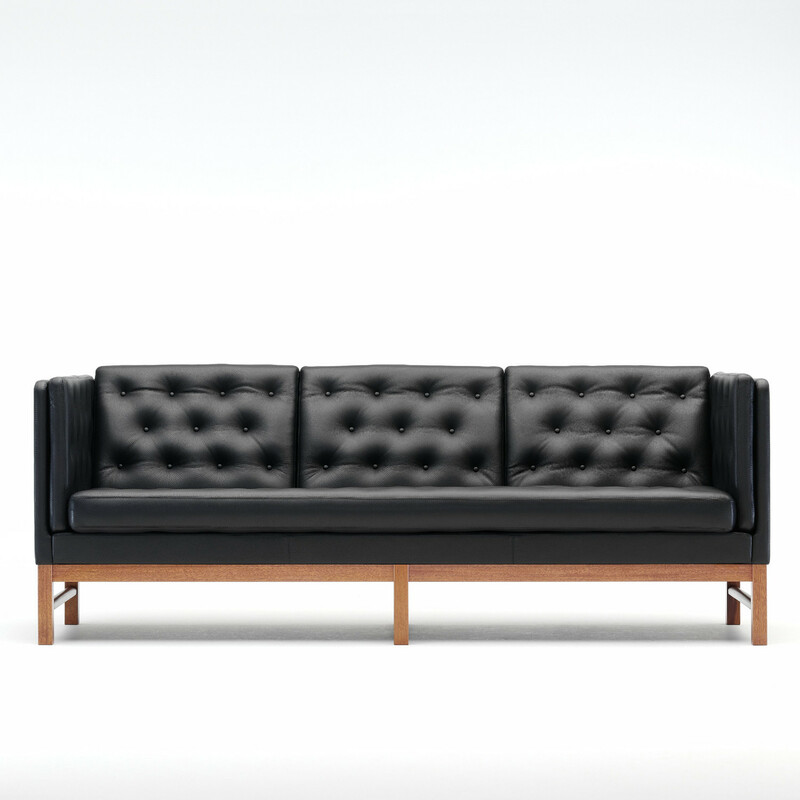 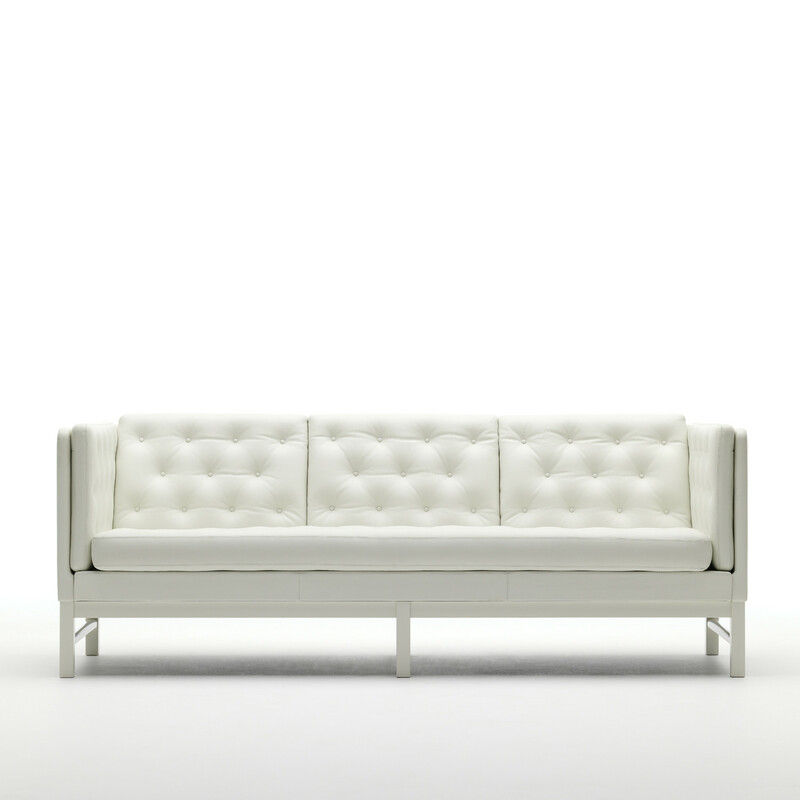 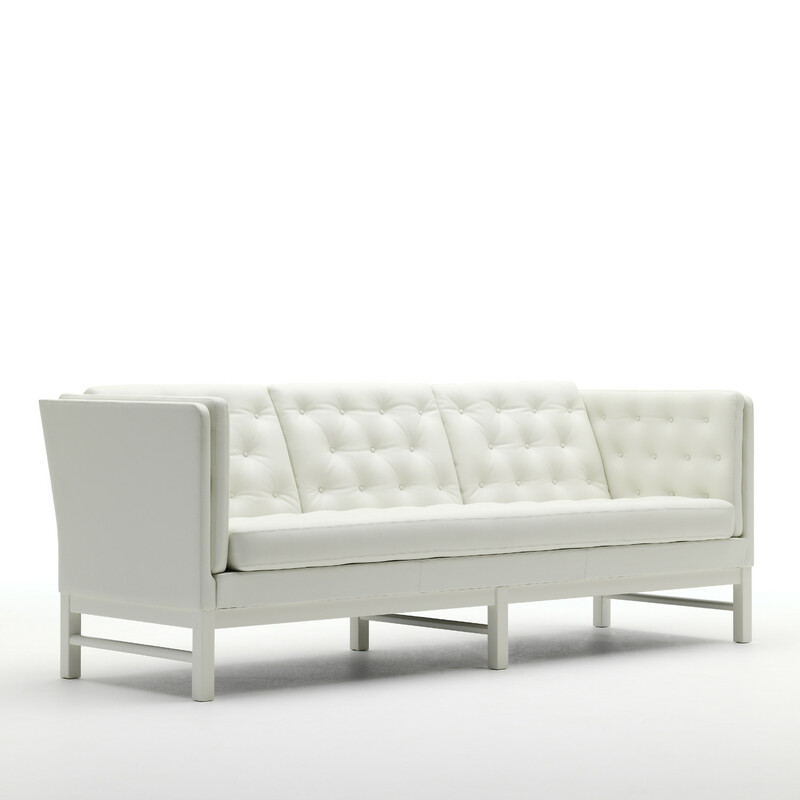 EJ 315 Sofa embodies Danish design and furniture craftsmanship, characterised by a sober and yet inviting style. 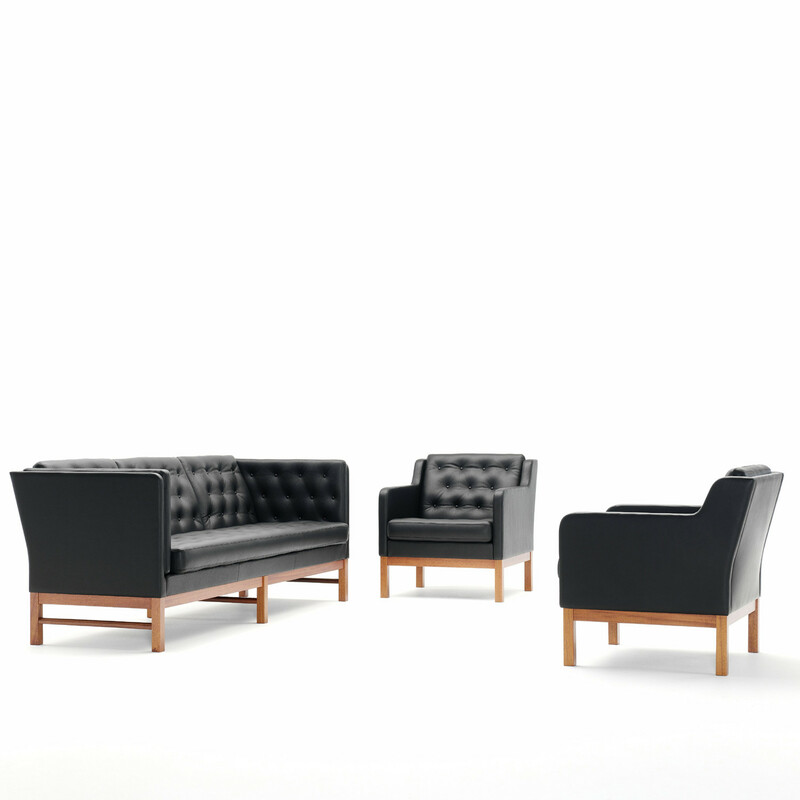 The prominent wooden base gives support to a slim structuring of cushions, which are given additional life and depth by the effect of many fastened buttons. 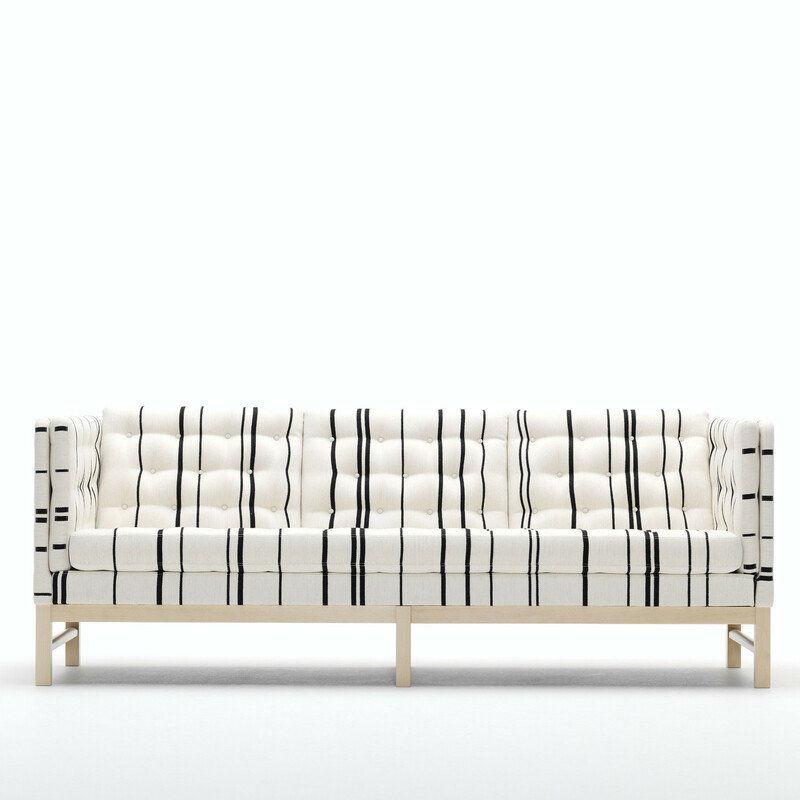 In the fabric versions, covered in Erik Jørgensen’s classic fabrics, the precision with which the cutting has been executed can be seen in the linings on the sur-faces of the cushions. 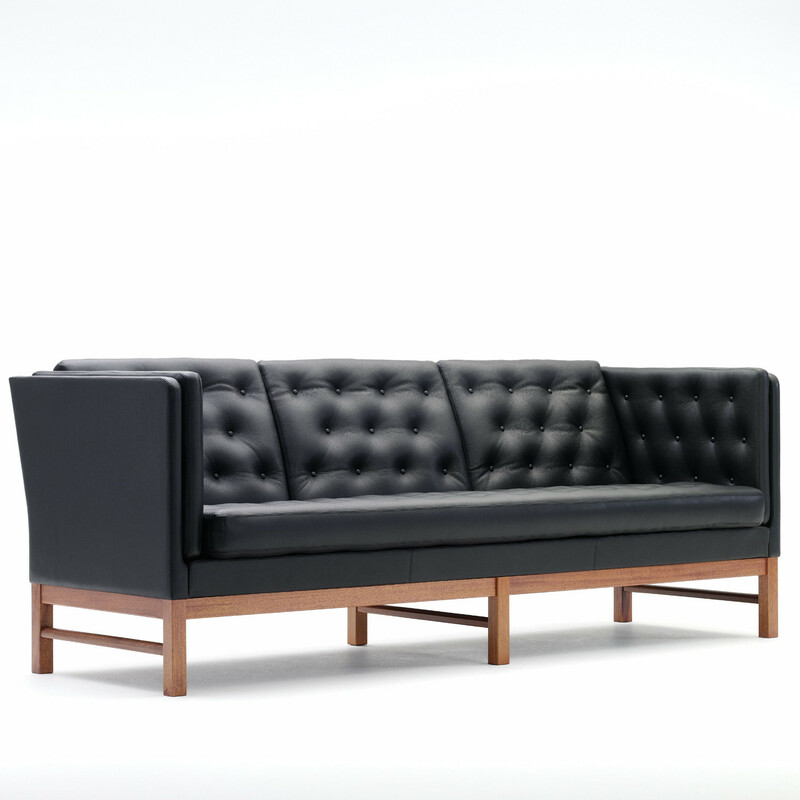 EJ 315 Sofa quickly became known as the ultimate Danish fabric sofa of such high quality. 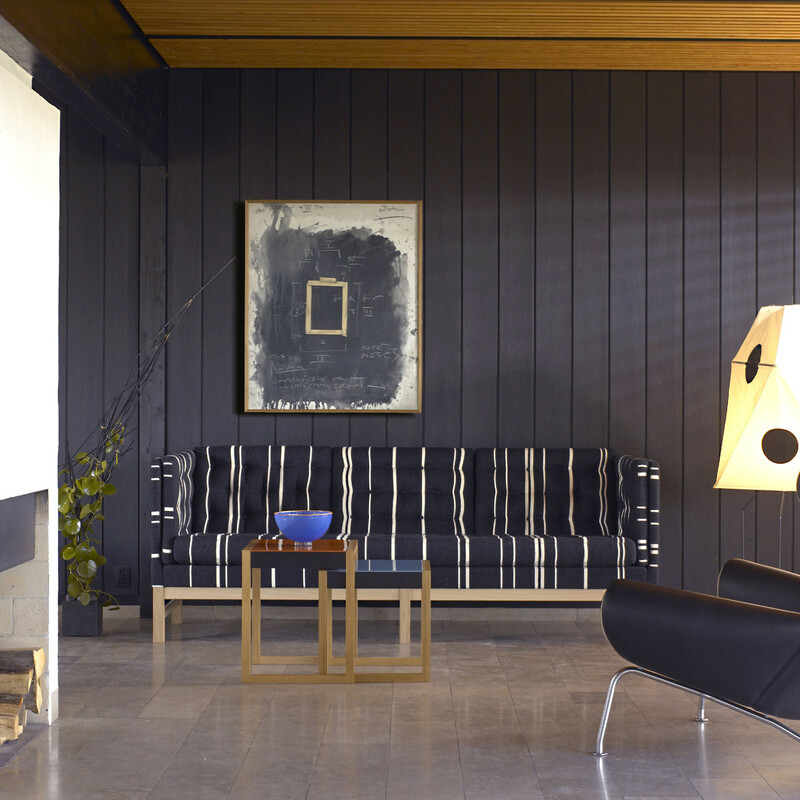 Designed by Erik Ole Jørgensen (1925-2002), whose simple, functionalist furniture has placed him amongst the best Danish furniture designers. 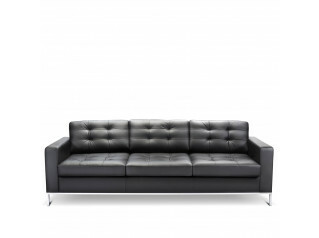 You are requesting a price for the "EJ 315 Sofas"
To create a new project and add "EJ 315 Sofas" to it please click the button below. 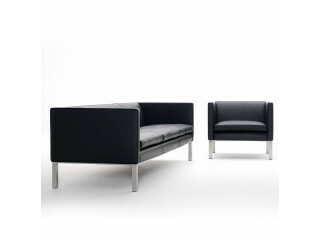 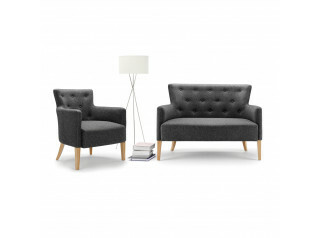 To add "EJ 315 Sofas" to an existing project please select below.